What color is the 25, white or grey? BEST ANSWER: The cooler is gray in color. I would also recommend it as it has worked out perfect for us. Good quality product. The gray color is not attractive but it sure looked better than the white coolers on a very dusty recent trip. I feel better about the color now. Gray ! Looks good and keeps thing cold for days very happy with it. It's a very light grey color. Picture shows fairly well. Light gray. Very nice cooler. Does the cooler have tie down slots? So I can tie it down and still open it? BEST ANSWER: Yes, I never noticed b4 you asked, but there are two slots one on each side of the cooler when opened.. Theses slots are in between where the ropes for the handles are attached. 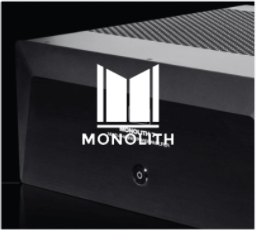 If you look at the pix on Monoprice site, the second pix you can just barely see them when magnified. And it looks like it would accept a flat nylon strap and still close.. By the way it has a can opener and a place to lock it when closed! The rubber feet are very effective to prevent sliding. It never moved traveling over very rough road while sitting on a rubber mat. There are the lock holes on each side of the top and the handles could be used to tie the cooler down but no dedicated tie down slots and if the top bolt holes are used it could not be opened. Those holes are more for bear proofing. The photos are very accurate. I was mistaken in my previous answer. There are tie downs under the lid which still permit the top to be opened. Duh, I just went and looked at one of mine. I have the 25 and the 50. BEST ANSWER: This cooler never has sweated for me but local humidity is pretty low. The insulation is good and the surface of the cooler always seems pretty close to ambient so I don't expect you will get condensation, even when it is very humid. No, this cooler does not sweat. The only way liquid will get out (unless turned over without having the top latched) is from the drain on the side. Which in my experience does not leak if screwed snug. No. I haven't noticed that. I made my cooler run 2 miles and put it through a high stress job interview . . . Still nothing! Have never noticed it sweating before. Does the 25 seriously weigh 23.6 lbs empty?? I'm trying to decide between the (apparently) comparable Yeti Roadie & RTIC 20, which show as 15 & 17.5 lbs respectively. As a smallish woman using it alone, every pound will matter! BEST ANSWER: I get 20.6 lb on my bathroom scale. This thing is well built and well insulated so one would expect it to be heavy. The two sets of handles do make it a little easier to carry. As a small woman who has filled this cooler complely, I would not be able to handle a larger cooler myself. Yes it does weigh that much which is comparable for it's size to any roto-molded cooler. This is 5 quarts larger than the Roadie and the extra space is welcome. I believe that it's just under 20 lbs. Fill it up and it weighs double that. Pound for pound, it's fantastic. You won't be sorry once you get it. Mine 25qt cooler purchase a month ago weighs approx. 18.8 pounds. I have it closer to 20lbs+. It's definitely not light. Are the hinges rugged? Plastic that might wear out or break? 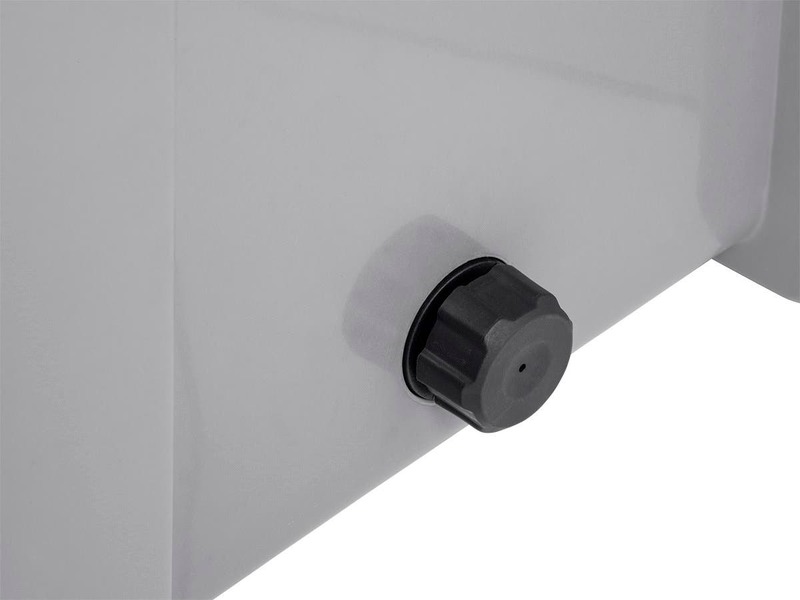 The hinges are integrated into the molded structure of the box and lid, making them very strong. I have had the ice chest for about a year now, and am still very happy with my purchase. yes they are very strong. we have had no problems with this cooler. Yes, seems to be very durable! 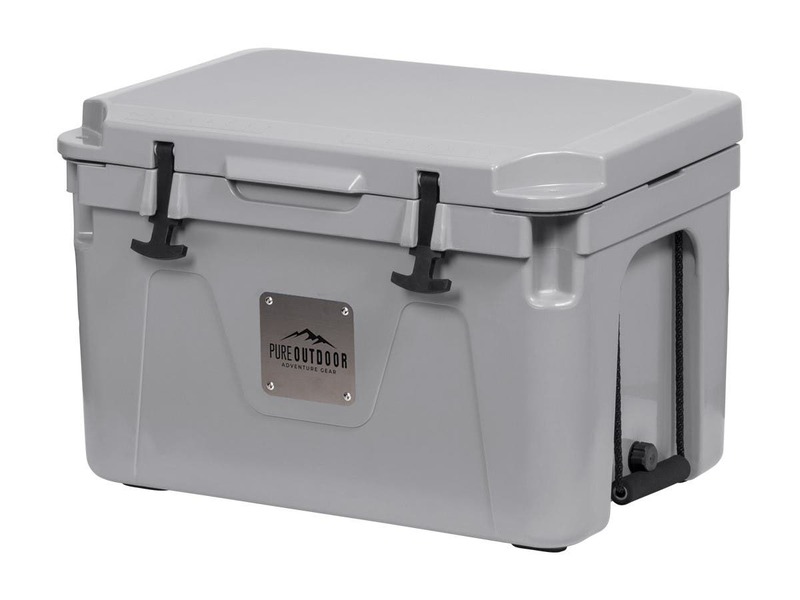 Is this cooler comparable to a Yeti or Engel cooler, or notably inferior? BEST ANSWER: Hi William, it's the same technology, the cooler is build as a tank. Very solid and I do not feel you are overpaying for them. You also can't beat monoprice's life time warranty on them, even Yeti doesn't offer it! Try it you have 30 days money back guarantee! *Either a wicked color scheme or extremely light colored exterior. Personal flare vs better uv/heat dissipation. *Larger than 20 liter/quart but none above 30. Just personal use for Corona bottles which would require enough interior height storage. *LIFETIME WARRANTY a must, I plan on this being my last REAL cooler. Not interested in lesser offered warranties just out of rigidity concerns if a item costs more it should be better and better, just sayin. *Bottle opener a must because I drink sealed bottle beer. If I'm opening the cooler I'm gonna open a brew-sky.....ALL with one hand! *PRICE, PRICE, PRICE. Even if I had to buy 3 or 4 more of the product (hopefully not knock on wood), does it really need to be soooo expensive. It's not even powered cooling for Christs' sake lol. I could buy a refrigerator with freezer for the price a Yeti?! *Bear Proof is a waste of time in my areas of activity, there are very very few that exist here and quite frankly if a bear wants in a plastic cooler just take a look at the discovery channel and you tell me. Ridiculously unnecessary and merely a sales gimmick of durability plastic vs bear....duh! *Tie downs are definitely tactical. Most come with this unless they are cheap or really small in general. *Prefer a drain plug I can screw directly into my garden hose for easy cleaning. Although, this cooler may be suspect to leakage and or breaking at the plug cap but I can easily fix that without voiding warranty. Buy a brass or copper garden hose thread cap with a nice rubber gasket, voila! *Carry handles/bar must be extremely durable because of full capacity weight tolerance factor. Performance wise I'd say it should be similar. The finish on the plastic is the perfection you see with the name brands but that's just aesthetic. The lid hinge doesn't seem quite a sturdy as Yeti, but isn't by any means weak. For the price it's a good buy. I'd say the big name brands probably are slightly better than these coolers, but IMHO not worth more than 2X the price of these. Is this cooler food safe? BEST ANSWER: Yes, it is essentially a food safe. It keeps food cold for several days. Does that answer your question? Is it possible to get a replacement drain plug cap for the cooler? BEST ANSWER: Normally it is impossible, however if you buy another cooler it should have the same exact drain plug. Try a garden hose end cap. I got the cooler. I love it. I have one problem with it. I'm trying to install a valve on the drain, but nothing matches the threading. It's not standard hose threading. It's not pvc threading. Nothing from the hardware store matches. It's driving me crazy. Does anyone know where I can find something that fits it? BEST ANSWER: Thank you for your inquiry. 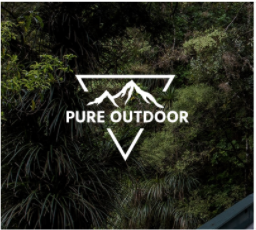 The metric pitch diameter for the Pure Outdoor Emperor 80 Cooler is M24 x 2. 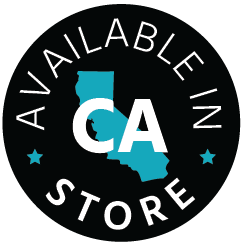 If you have any further questions, please do not hesitate to contact our customer service team. How many cans of soda or bottles of water can you fit in the Emperor 25 cooler? BEST ANSWER: The Pure Outdoor Emperor 25 Cooler can hold approximately 14 cans (Using the recommended 2:1 ratio of ice to contents). For those of you that have one, what is the actual weight of the Emperor 25? 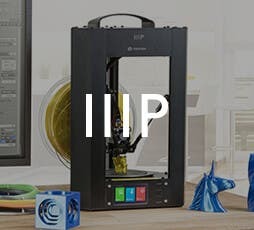 On Monoprice it says 23.6, but the one I just got is 19 pounds. I want to make sure mine is normal. BEST ANSWER: I get 20.6 on my bathroom scale. Exterior Dimensions: 22.8" x 15.0" x 15.0"
Interior Dimensions: 16.7" x 10.0" x 10.8"
Does the drain plug use same thread as a Yeti? I have a hose adapter for a Yeti and was wondering if it would work with the Pure Outdoor. 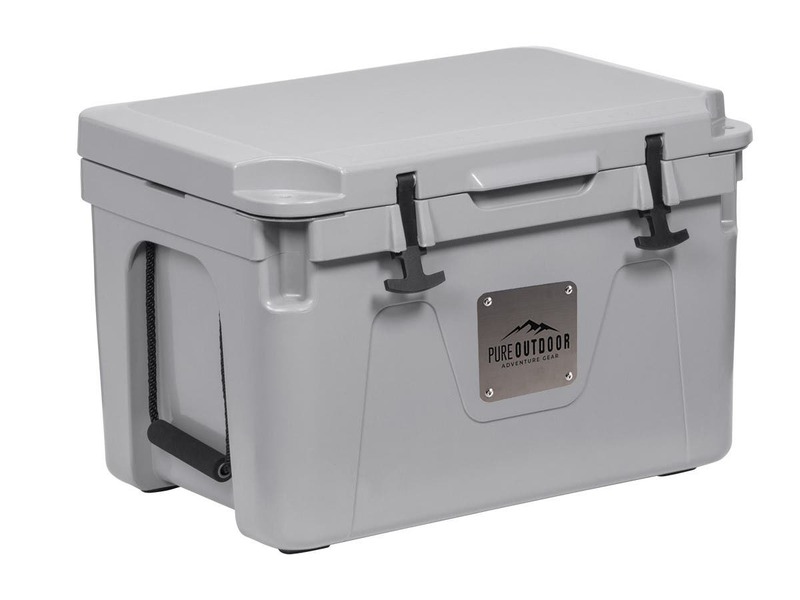 BEST ANSWER: The Pure Outdoor Emperor 25 Cooler can hold 14 Cans using the recommended 2:1 ratio of ice to contents. 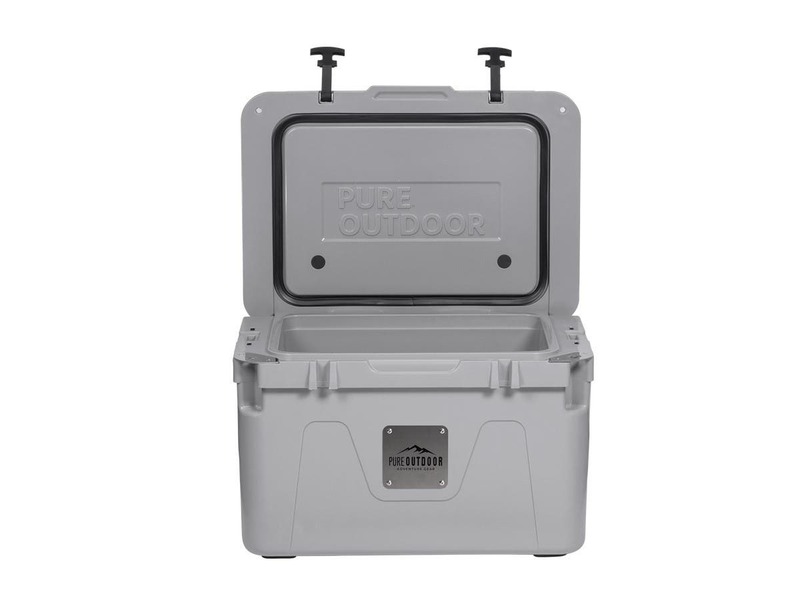 The Pure Outdoor Emperor 50 Cooler can hold 32 cans using the recommended 2:1 ratio of ice to contents. What is the hinge construction? BEST ANSWER: A metal rod, looks to be aluminum or stainless. The rod alternates thru the cooler and the lid flanges to make the hinge. what is the outside mentioned? 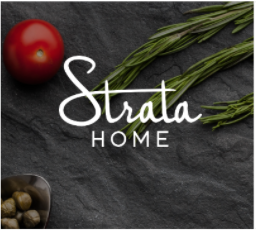 Would it be safe to sous vide foods in this cooler? How hot can it get? Can someone point me to a basket that will work in the 25? For the 50 cooler is 18" for the width or height? What are the exterior dimensions at the base of the Emperor 25? Stays cold for days if you follow the directions. You can have ice in this thing for 4 days or more. Look at their photo.. the black thermal stripping in the lid.. on my unit is it overlapped oddly on the bottom. Not sure it is as effective as could be. But its a deal at monoprice's regular price and I got mine on sale. Its perfect for my occasional 16 hour drives. It does a great job doing what it's supposed to do.... keeping things cold for a long time. There is one minor design flaw which becomes annoying after a while. 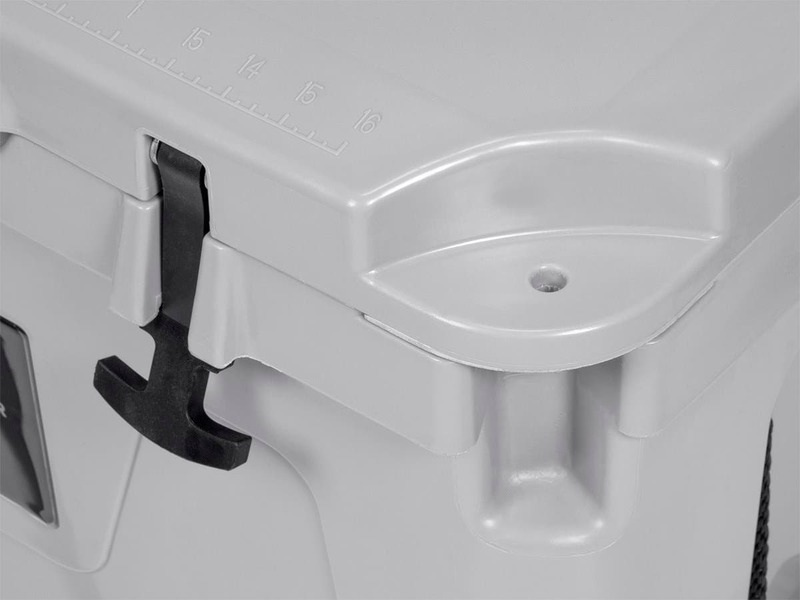 On the higher end coolers, the rubber latches, when lifted up will stay in place, out of the way allowing you to just kick the lid down. 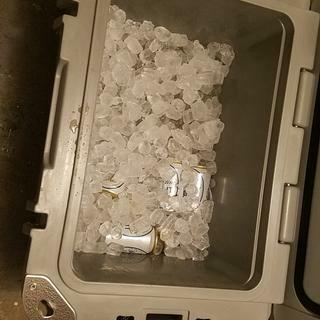 With this cooler, the latches are just loosely hinged and remain hanging down making them an obstacle to closing the cooler completely without using two hands to do it. Not a deal breaker, but worth noting. EXCELLENT cooler!! Looks great, sturdy construction, yet priced less than half of their competitors. I actually used the cooler two weekends without having to add ice after SEVEN DAYS! I can’t give this cooler enough praise. I would DEFINITELY recommend buying this cooler. This is a pretty heavy cooler. I had it partially filled with ice and it kept ice for three days while inside for a party. I can imagine a fully iced cooler could keep ice even longer. Pretty impressed with ability to keep ice that long. 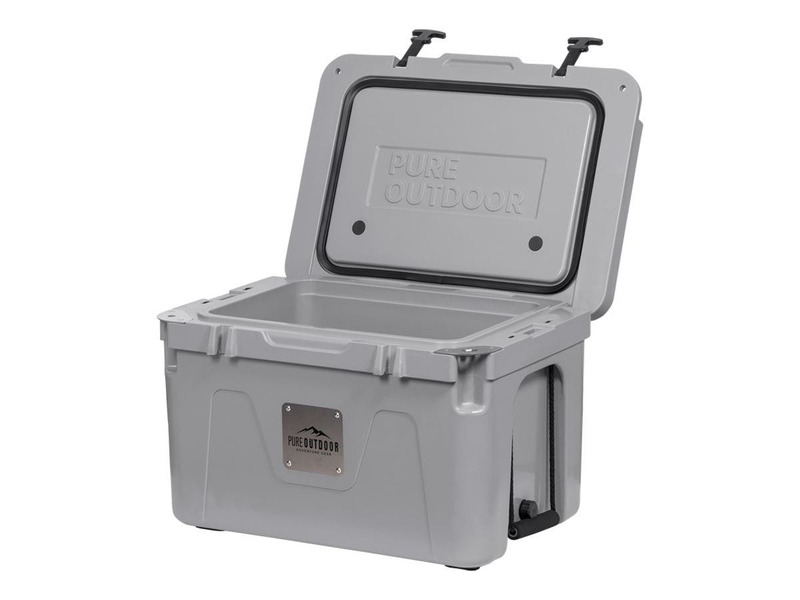 It’s winter so it’s hard to say how it will perform in July but my initial impression is that the cooler is well made and comparable to my Pelican cooler. I like that the sides don’t taper much and it doesn’t have large handles that would make it take up much more space than necessary. I also like the built-in bottle opener – always there so I won’t have to hunt around. Used it this past weekend and it still had most of the ice left and everything was ice cold for 4 full days and counting. I can hardly believe it. Great cooler...and tough too. Cooler is perfect. It is built well and keeps things cold. Amazing value.